My last post, “The Challenges of American Health Care,” describes the huge demographic and cost pressures facing American healthcare and lays out a comprehensive reform plan by the Hoover Institution’s Scott Atlas to address them. Today I will give more details about these pressures on both private care as well as care subsidized by the Affordable Care Act. 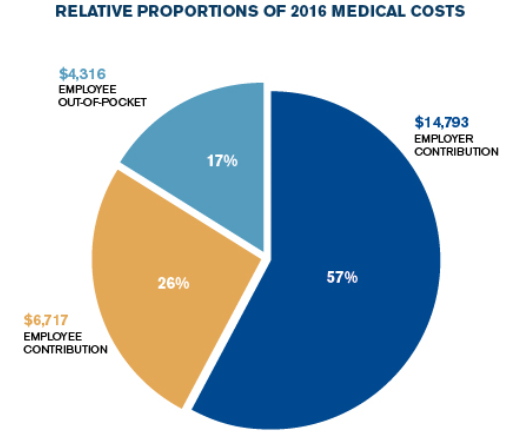 The cost of providing health care to an average American family surpassed $25,000 for the first time in 2016, $1,155 higher than last year, and triple the cost in 2001. A significant cost driver is the rapid growth in what health plans and insured people are paying for prescription drugs, now comprising $4,270 annually, or 17% of the total. 80% of healthcare costs come from just 20% of the population. The insurance company United Healthcare announced that it is withdrawing from most ACA exchanges because it lost $475 million on plans sold in 2015 and expects to lose another $650 million in 2016. Overall $2.5 billion was lost by insurance companies on the exchanges in 2014. The government’s “risk corridors” program is insufficiently funded to reimburse these losses to the insurance companies involved. The fundamental problem is politicization of the marketplace. Insurers were pressured to set premiums low initially to ensure that the rollout was not a flop. Now premiums are increasing rapidly to cover the initial losses. Households with income over 250% of poverty already find the plans offered on the ACA exchanges unattractive. Conclusion: The overall rapid increases in the cost of healthcare, public and private, is unsustainable for individuals, families, employers and government. Something has to give. We need a total reform of healthcare spending in the U.S. Many good suggestions have been made for how to do this. Now is the time to act! This entry was posted in ACA, Affordable Care Act, Jack Heidel, Scott Atlas and tagged Affordable Care Act, health care, health care inflation, jack heidel by jackheidel. Bookmark the permalink.